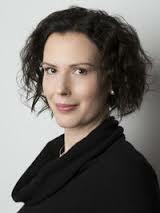 Bettina Papenburg is Assistant Professor at the Institute of Media and Cultural Studies at Heinrich-Heine-University Düsseldorf, Germany. She teaches, researches and publishes on topics at the intersections of affect theory, theories of the body, feminist theory, science and technology studies, visual culture, and the grotesque. She was Marie Curie Postdoctoral Research Fellow (2009–2011) and Assistant Professor of Gender Studies (2011–2013) at the Department of Media and Culture Studies at Utrecht University, the Netherlands.